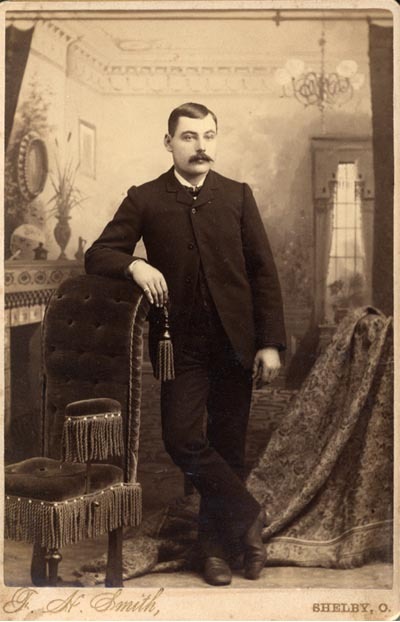 George S. Keller was born in Aragon, Switzerland on November 9, 1827. He came to the Shelby Settlement (Bethlehem) in May of 1854 via the port of New Orleans on the ship Henry Pratt. It is thought that he had friends or family in Ohio, because he traveled directly to the area from the port of entry. George declared his intent to become an America citizen on June 3, 1858. 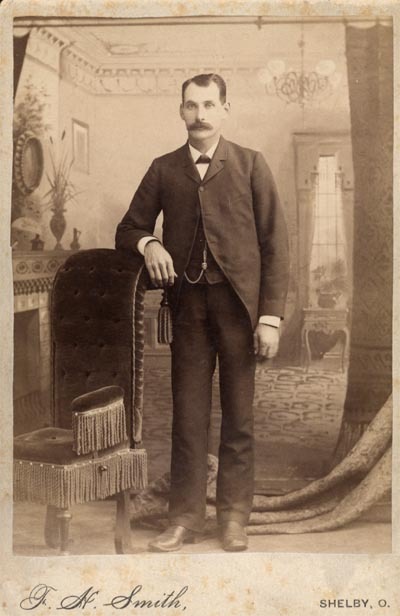 The 1860 census listed his occupation as a shoemaker, but by the 1870 census, he was listed as a farmer. Family members have passed down an interesting note - George had a blue eye and a brown eye. George S. Keller homesteaded 80 acres and built a home from lumber cut from the land in the late 1800s which is still standing on 3437 Hinesville Rd. in Sharon Township. He married Catharine Kurtzman in 1856 at the Sacred Heart of Jesus Church. Catharine Kurtzman was born on the 5th of January, 1819 and came to America from France, when she was just four years old. She was the secretary at Sacred Heart Church when George met her. A stained glass window in the church is dedicated to Catharine Kurtzman, although it is not known whether the window was purchased as a donation or given in appreciation for her work at the church. George Keller died February 25, 1901 at the age of 73 and Catharine Kurtzman / Keller died May 22, 1904 at the age of 85. Both are buried in the Sacred Heart Cemetery, Bethlehem. Georges headstone reads George F. Keller. George and Catherine raised three children  Mary, Martin and Peter Paul. Mary Keller (1856 to 1878). 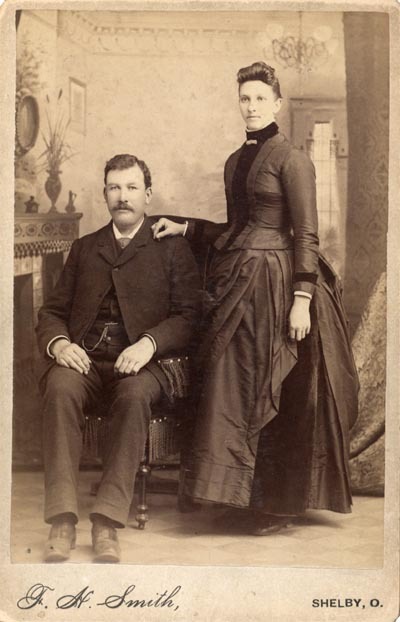 Mary Keller and Martin Keller married spouses who were first cousins . Mary married Fredolin Buchholz and Martin married Catharine Buchholz Landers, a widow with two girls. Mary and Fridolin Buchholz had one son, Joseph. Mary died from complications from diabetes when she was 22. Martin Keller married Catharine Buchholz Landers (1868 to 1939) in 1901. A widow, Catharine had two daughters, Elizabeth and Sophia from her marriage to John Landers. Mary, Catharine Regina, Emma, George and Paul Peter, were all born to Martin and Catharine Buchholz Keller. The family lived with George S. Keller until Martin built a home about 1912 at what is now 3846 Brannon Road from lumber cut from the property. At one point, there were three Catharine Kellers living in the Hinesville home: mother Catharine Kurtzman Keller, daughter-in-law Catharine Buchholz Keller and granddaughter Catharine Regina Keller. Both Keller homesteads are still in excellent condition and well-cared for. Martin and Catharine Keller also farmed an 80-acre homestead and evidently were successful in the venture. An inventory and appraisement listing at Catharines death listed 125 chickens, 29 hogs, and 10 cows along with crops of corn, hay, wheat, oats, soybeans. Peter Keller went blind from complications of diabetes at the age of 26. He was engaged at the time, but never married. He lived the rest of his life with his brother, Martin. He still lived a very productive life, despite the lack of vision. Niece Catharine Regina Keller Yetzer told stories about Uncle Pete milking cows and building a shed after he became blind. He loved his nieces and nephews and built them a playhouse complete with a window and door. At Christmas time, they got gifts to go in the playhouse. Catharine and her sisters, Mary and Emma, spent many hours playing there, she said. The George S. Keller information has been supplied by John and Doris Yetzer and Christina Drain. Thank you for your efforts in getting all these items together!